Senate Republican leader Mitch McConnell says Obama's plans to normalize relations with Cuba are "a mistake". Senate Republican leader Mitch McConnell told the Reuters news agency on Monday he opposed President Barack Obama's plans to normalize relations with Cuba. 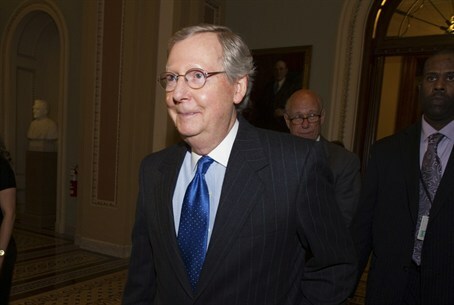 Speaking by telephone from his home state of Kentucky, McConnell said he agreed with the Senate's most outspoken critics of Obama's new Cuba policy, Republican Senator Marco Rubio of Florida and Democratic Senator Robert Menendez of New Jersey, "that it was a mistake." Obama's actions to forge relations and expand commercial ties with Cuba after half a century of hostility has divided Republicans in Congress and could weigh on the 2016 campaign for president. The move to normalize ties with Cuba came last week after Havana released Jewish-American contractor Alan Gross in exchange for three Cubans held in the United States for spying. On another international matter McConnell, who takes over in January as Senate majority leader, said North Korea's computer hacking of Sony was more serious than an act of vandalism, taking issue with a characterization Obama had used to describe the cyberattack. McConnell declined to spell out steps he thought the United States should take in response. "This is a serious threat to the United States," he told the news agency. Tags:Cuba, Barack Obama, Mitch McConnell, Cuba-U.S.